Whether raw, cooked or fried – poultry shears are a must for cutting poultry into portions. Most shears have a special recess in the blade, a so-called integrated bone crusher. As the name suggests, this makes it easy to crush thick poultry bones. Some poultry shears also have a serrated edge to prevent slipping when portioning. Poultry shears are robust and designed in such a way that they optimally transfer the pressure exerted on the handle to the blade. While the curved blade makes them easier to handle, a lock facilitates safe storage. WMF poultry shears are available with black plastic handles or made completely from stainless steel. All so have this problem as others on here very upset that no new spring is available €45.95 down the drain. Spring broken and cannot be replaced. Very disappointed. Can you imagine a kitchen without scissors? These little kitchen gadgets have long since become irreplaceable. Be impressed by the scissors that WMF has to offer. With WMF scissors, you're always well equipped. We attach particular importance to an ergonomic shape, so that each cut is as powerful as possible. WMF scissors are harmonious in design and their wonderful, pleasant feel ensures that they really shine. Your fingers no longer need to be squashed by the holes in the scissors! With WMF scissors, you'll love every cut. In addition, our scissors don't push their way into the limelight, but fit into your kitchen completely naturally. That’s our goal when it comes to offering you the ideal kitchen gadgets. A full range of scissors: from WMF of course! In our scissor category you will find many different WMF models. We offer a wide selection of different household scissors. That means you can pick out your own favourite designs and functions. We have classic and elegant scissors with the usual functions as well as models with integrated bottle openers. Most of our scissors have traditional black plastic handles. To add a flash of colour to your kitchen, we also offer some models in striking colours like green and red. You will also find powerful poultry shears in the WMF online shop. The rounded design of this variant ensures an optimal transfer of power, which makes cutting any poultry a simple task. Some WMF poultry shears have integrated bone cutters for cutting through poultry bones effortlessly. Most of the blades used for our WMF scissors are made of 18/10 stainless steel. This means the blades remain absolutely rust-free and the scissors last for an extremely long time.  WMF's special quality means you will be able to rely on your WMF scissors for decades! We also offer some models with blades in special blade steel or Cromargan® 18/10 stainless steel. Discover our different WMF scissors and find your new, personal kitchen gadget! With WMF scissors, every cut is a joy – the different models cut through the materials for which they are designed easily and precisely. Browse our scissor category and allow yourself to be impressed by the diverse designs and range of functions.